I figured the salad was a good recipe to start from our big BBQ from last week. 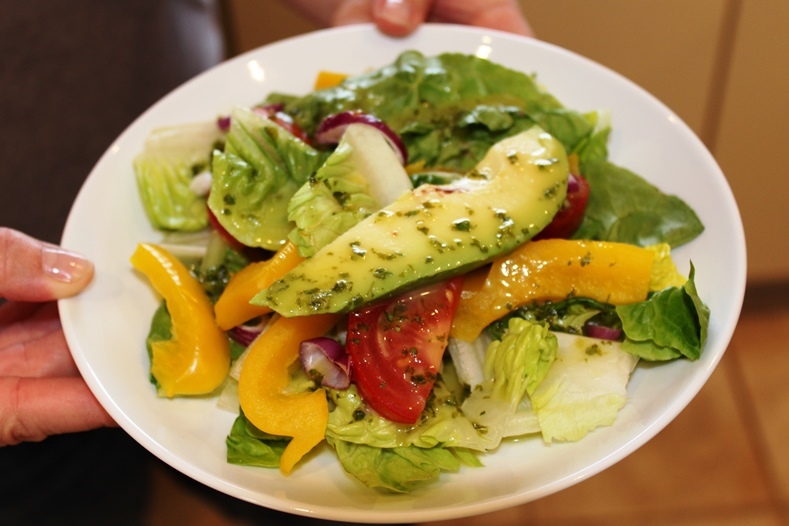 Especially since salads are a traditional starter, and is at least a bit healthy! To balance the ribs, beans, bread and delicious butter in our big BBQ meal, I figured a salad was in order. A few weeks ago when we test drove this meal, my friend and fellow American Amy brought a salad over with lettuce, tomatoes, peppers, cucumbers, and two salad dressings to choose from! 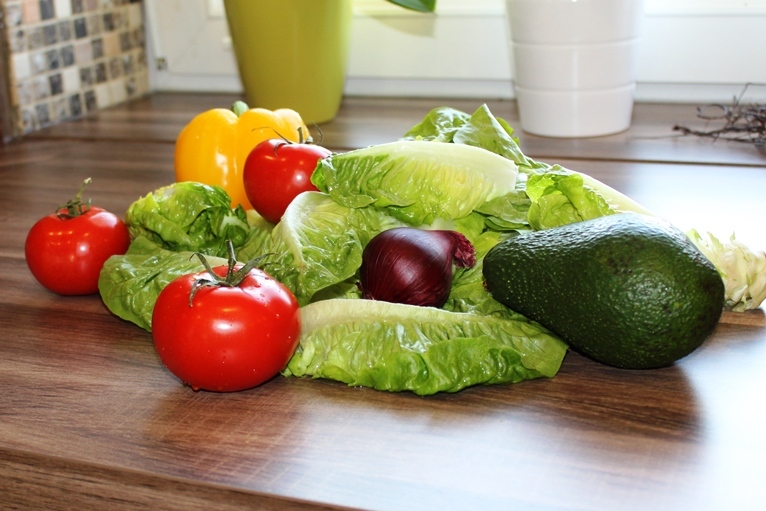 This may not sound so amazing to you, but typical salads here in Germany have a yogurt based salad dressing which while delicious…gets a bit old after awhile. 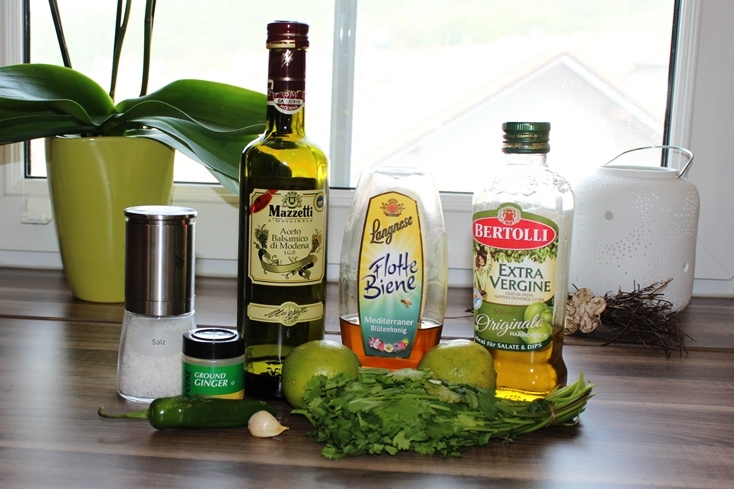 Except for my mother in laws…her salad dressing (or “Salat Soße”) is the best of all German salad dressings. And no, I am not just saying that because she’s my mother in law…it is really amazing! So, back to the salad Amy brought! Or more importantly, the dressings! She brought a traditional American Ranch (which while it may not look so different from the German salad dressing, my does it taste different!) and a Cilantro-Lime Dressing. I love Cilantro. Almost as much as I love salsa…and therefore knew I had to make this one for myself! 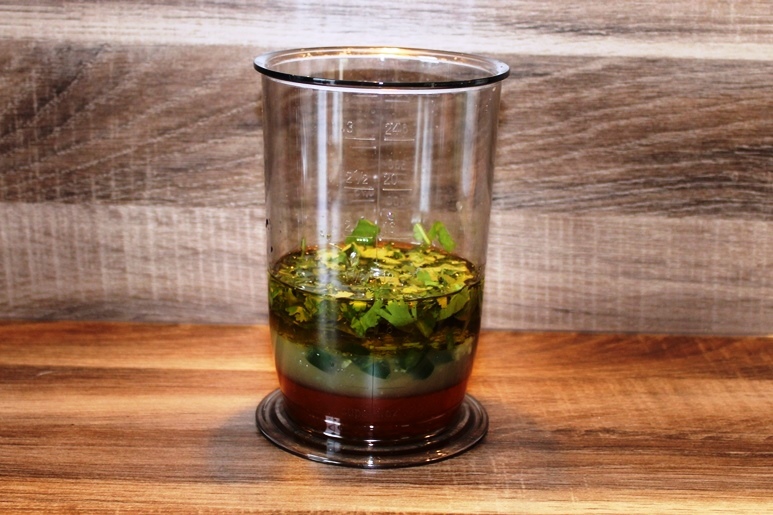 Salt, Jalapeno, Ground Ginger, Balsamic Vinegar, Garlic, Limes, Honey, Olive Oil and of course…Cilantro! Just looking at that makes my mouth water! Just before serving, slice the avocado and add to the salads. Then pour the dressing over. Ready to devour! 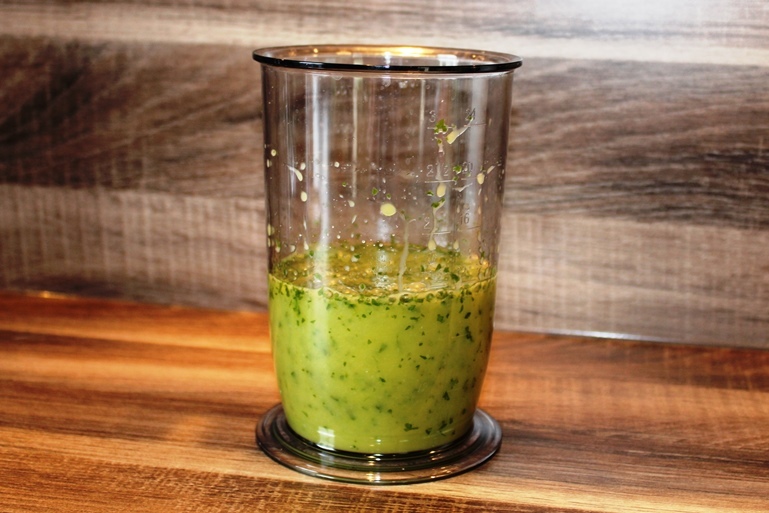 Add all ingredients to a blender or bowl for an immersion blender. Blend until combined. Chop and slice all ingredients except the avocado. 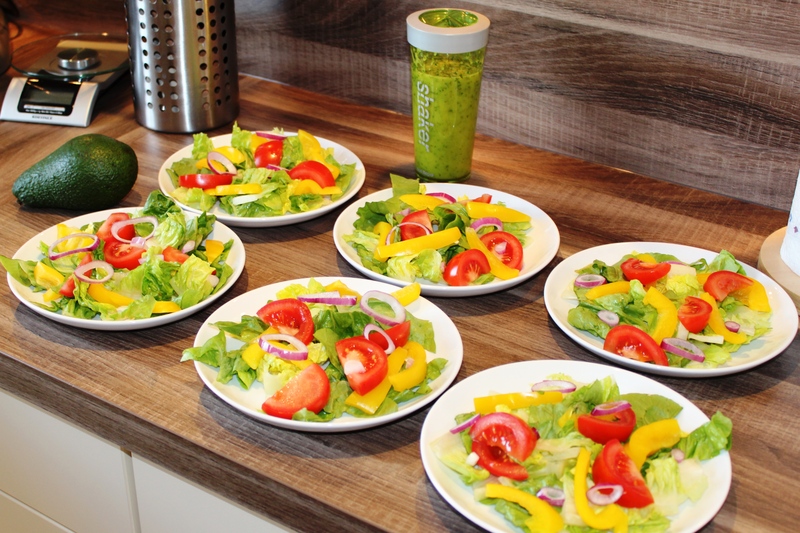 Distribute evenly between 6 salad plates. Just prior to serving slice the avocado and add to the salad. Then add the dressing, and serve! Sidenote : You can save the other half by putting it cut side down on a small plate, wiggle it a bit until it seals on the plate and putting it in the fridge – Thanks for the tip, Amy!